And why have the lawsuit against a European collider in Hawaii? And here I actually side with the lawsuit - we know dragons are dangerous and can wreak havoc on the planet. Apart from all the silliness, the collider seems awesome and it should be able to address some fundamental questions of particle physics, and, among other things, may even find the elusive Higgs boson. Read the full story here. 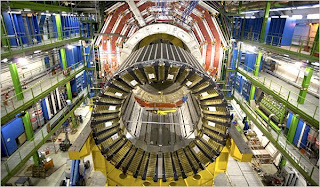 If you have time, also read this excellent Scientific American article on the Large Hadron Collider. On a related note of doomsday, some members of a Russian doomsday cult have been living in a cave for the past five months. The members believe that the world is going to end in May of this year. Hmm...and what is the starting date for the Large Hadron Collider? Just a coincidence? :) In any case, seven members of the sect have come out of the cave recently and renewed efforts are underway to get the remaining members out. Read about their latest situation here. 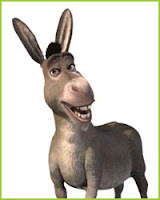 Ok, I admit that I have been too biased against donkeys - but now I have a newfound respect for this useful but often misrepresented/misunderstood/miscast animal. To change your perception, read the full story here. And if this doesn't convince you, please read about Monika, who recently retired after 19 years of carrying the character, Sancho Panza, in the Russian ballet, Don Quixote. 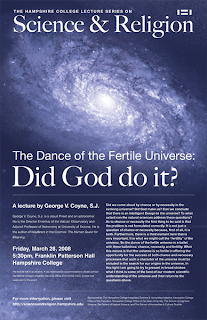 Lecture on March 28th - The dance of the fertile universe: Did God do it? As part of Hampshire College Lecture Series on Science & Religion, Dr. George V. Coyne, the Director Emeritus of the Vatican Observatory, will give a lecture on The dance of the fertile universe: Did God do it? If you live in/near western Massachusetts, please join us at the lecture. As usual, we will also be recording the lecture and I will post the video when its available. The dance of the fertile universe: Did God do it? Did we come about by chance or by necessity in the evolving universe? Did God make us? Can we conclude that there is Intelligent Design to the universe? To what extent can the natural sciences address these questions? As to chance or necessity the first thing to be said is that the problem is not formulated correctly. It is not just a question of chance or necessity because, first of all, it is both. Furthermore, there is a third element here that is very important. It is what we might call the 'fertility' of the universe. So the dance of the fertile universe is a ballet with three ballerinas: chance, necessity and fertility. What this means is that the universe is so fertile in offering the opportunity for the success of both chance and necessary processes that such a character of the universe must be included in the search for our origins in the universe. In this light I am going to try to present in broad strokes what I think is some of the best of our modern scientific understanding of the universe and then return to the questions above. George V. Coyne, S.J. is a Jesuit Priest and an astronomer. 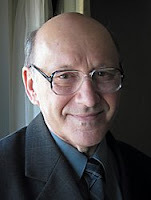 He is Director Emeritus of the Vatican Observatory and Adjunct Professor of Astronomy at the University of Arizona. He is the author of Wayfarers in the Cosmos: The Human Quest for Meaning. Articles on Arthur C Clarke are pouring in. Here is another from New York Times that specifically looks at the religious angle of his stories and how he viewed the future of humanity. 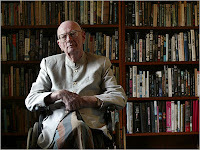 “Absolutely no religious rites of any kind, relating to any religious faith, should be associated with my funeral” were the instructions left by Arthur C. Clarke, who died on Wednesday at the age of 90. This may not have surprised anyone who knew that this science-fiction writer, fabulist, fantasist and deep-sea diver had long seen religion as a symptom of humanity’s “infancy,” something to be outgrown and overcome. But his fervor is still jarring because when it comes to the scriptural texts of modern science fiction, and the astonishing generation of prophetic innovators who were his contemporaries — Isaac Asimov, Robert A. Heinlein and Ray Bradbury — Mr. Clarke’s writings were the most biblical, the most prepared to amplify reason with mystical conviction, the most religious in the largest sense of religion: speculating about beginnings and endings, and how we get from one to the other. 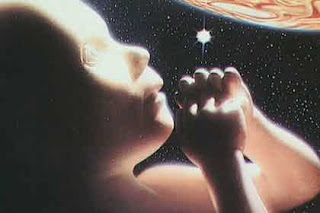 Stanley Kubrick’s film of Mr. Clarke’s “2001: A Space Odyssey” for example — a project developed with the author — is haunting not for its sci-fi imaginings of artificial intelligence and space-station engineering but for its evocation of humanity’s origins and its vision of a transcendent future embodied in a human fetus poised in space. But acts of reason and scientific speculation are just the beginning of his imaginings. Reason alone is insufficient. Something else is required. For anyone who read Mr. Clarke in the 1960s and ’70s, when space exploration and scientific research had an extraordinary sheen, his science fiction made that enterprise even more thrilling by taking the longest and broadest view, in which the achievements of a few decades fit into a vision of epic proportions reaching millenniums into the future. It is no wonder that two generations of scientists were affected by his work. For all his acclaimed forecasting ability, though, it is unclear whether Mr. Clarke knew precisely what he saw in that future. There is something cold in his vision, particularly when he imagines the evolutionary transformation of humanity. He leaves behind all the things that we recognize and know, and he doesn’t provide much guidance for how to live within the world we recognize and know. In that sense his work has little to do with religion. Perhaps any sufficiently sophisticated science fiction, at least in his case, is nearly indistinguishable from religion. You must have heard by now that Arthur C Clarke died early Wednesday. There is a good obituary in today's New York Times and you can read it here (also see this article about Clarke's imagination and his predictions for the future). Many of his stories dealt with the issues of science, religion and the meaning of life. One of my favorite short stories is The Star. I don't want to give anything away - but, appropriately, its theme is connected to this blog. It is really short, and very well written. If you have ten minutes, please read the full story. Here is the beginning, and then you can follow this link. It is three thousand light-years to the Vatican. Once, I believed that space could have no power over faith, just as I believed the heavens declared the glory of God’s handwork. Now I have seen that handiwork, and my faith is sorely troubled. I stare at the crucifix that hangs on the cabin wall above the Mark VI Computer, and for the first time in my life I wonder if it is no more than an empty symbol. The crew were already sufficiently depressed: I wonder how they will take this ultimate irony. Few of them have any religious faith, yet they will not relish using this final weapon in their campaign against me—that private, good-natured, but fundamentally serious war which lasted all the way from Earth. It amused them to have a Jesuit as chief astrophysicist: Dr. Chandler, for instance, could never get over it. (Why are medical men such notorious atheists?) Sometimes he would meet me on the observation deck, where the lights are always low so that the stars shine with undiminished glory. He would come up to me in the gloom and stand staring out of the great oval port, while the heavens crawled slowly around us as the ship turned over and over with the residual spin we had never bothered to correct. "Well, Father," he would say at last, "it goes on forever and forever, and perhaps Something made it. But how you can believe that Something has a special interest in us and our miserable little world—that just beats me." Then the argument would start, while the stars and nebulae would swing around us in silent, endless arcs beyond the flawlessly clear plastic of the observation port. It was, I think, the apparent incongruity of my position that cause most amusement among the crew. In vain I pointed to my three papers in the Astrophysical Journal, my five in the Monthly Notices of the Royal Astronomical Society. I would remind them that my order has long been famous for its scientific works. 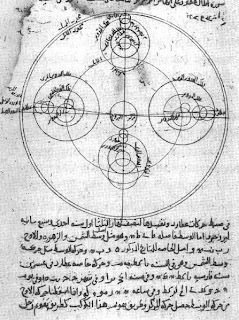 We may be few now, but ever since the eighteenth century we have made contributions to astronomy and geophysics out of all proportion to our numbers. Will my report on the Phoenix Nebula end our thousand years of history? It will end, I fear, much more than that. After the Sunday service in Westminster Chapel, where worshipers were exhorted to wage "the culture war" in the World War II spirit of Sir Winston Churchill, cabbie James McLean delivered his verdict on Charles Darwin's theory of evolution. "Evolution is a lie, and it's being taught in schools as fact, and it's leading our kids in the wrong direction," said McLean, chatting outside the chapel. "But now people like Ken Ham are tearing evolution to pieces." Ken Ham is the founder of Answers in Genesis, a Kentucky-based organization that is part of an ambitious effort to bring creationist theory to Britain and the rest of Europe. McLean is one of a growing number of evangelicals embracing that message -- that the true history of the Earth is told in the Bible, not Darwin's "The Origin of Species." Europeans have long viewed the conflict between evolutionists and creationists as primarily an American phenomenon, but it has recently jumped the Atlantic with skirmishes in Italy, Germany, Poland and, notably, Britain, where Darwin was born and where he published his 1859 classic. Darwin's defenders are fighting back. In October, the 47-nation Council of Europe, a human rights watchdog, condemned all attempts to bring creationism into Europe's schools. Bible-based theories and "religious dogma" threaten to undercut sound educational practices, it charged. Schools are increasingly a focal point in this battle for hearts and minds. A British branch of Answers in Genesis, which shares a website with its American counterpart, has managed to introduce its creationist point of view into science classes at a number of state-supported schools in Britain, said Monty White, the group's chief executive. "We do go into the schools about 10 to 20 times a year and we do get the students to question what they're being taught about evolution," said White, who founded the British branch seven years ago. "And we leave them a box of books for the library." But the budding fervor is part of a growing embrace of evangelical worship throughout much of Europe. Evangelicals say their ranks are swelling because of revulsion with the hedonism and materialism of modern society. At the same time, attendance at traditional churches is declining. "People are looking for spirituality," White said in an interview at his office in Leicester, 90 miles north of London. "I think they are fed up with not finding true happiness. They find having a bigger car doesn't make them happy. They get drunk and the next morning they have a hangover. They take drugs but the drugs wear off. But what they find with Christianity is lasting." The trend goes beyond evangelical Christianity. Sanderson said the British government is taking over funding of about 100 Islamic schools even though they teach the Koranic version of creationism. 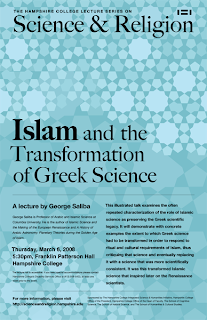 He said the government fears imposing evolution theory on the curriculum lest it be branded as anti-Islamic. The Council of Europe spoke up last fall after Harun Yahya, a prominent Muslim creationist in Turkey, tried to place his lavishly produced 600-page book, "The Atlas of Creation," in public schools in France, Switzerland, Belgium and Spain. Brasseur said recent skirmishes in Italy and Germany illustrate the creationists' tactics. She said Italian schools were ordered to stop teaching evolution when Silvio Berlusconi was prime minister, although the edict seems to have had little effect in practice. In Germany, she said, a state education minister briefly allowed creationism to be taught in biology class. The rupture between theology and evolution in Europe is relatively recent. For many years people who held evangelical views also endorsed mainstream scientific theory, said Simon Barrow, co-director of Ekklesia, a British-based, Christian-oriented research group. He said the split was imported from the United States in the last decade. "There is a lot of American influence, and there are a lot of moral and political and financial resources flowing from the United States to here," he said. "Now you have more extreme religious groups trying to get a foothold." Are the roots of New Atheism in monotheistic religions? Zealous atheism renews some of the worst features of Christianity and Islam. Just as much as these religions, it is a project of universal conversion. Evangelical atheists never doubt that human life can be transformed if everyone accepts their view of things, and they are certain that one way of living - their own, suitably embellished - is right for everybody. To be sure, atheism need not be a missionary creed of this kind. It is entirely reasonable to have no religious beliefs, and yet be friendly to religion. It is a funny sort of humanism that condemns an impulse that is peculiarly human. Yet that is what evangelical atheists do when they demonise religion. Nowadays most atheists are avowed liberals. What they want - so they will tell you - is not an atheist regime, but a secular state in which religion has no role. They clearly believe that, in a state of this kind, religion will tend to decline. But America's secular constitution has not ensured a secular politics. Christian fundamentalism is more powerful in the US than in any other country, while it has very little influence in Britain, which has an established church. Contemporary critics of religion go much further than demanding disestablishment. It is clear that he wants to eliminate all traces of religion from public institutions. Awkwardly, many of the concepts he deploys - including the idea of religion itself - have been shaped by monotheism. Lying behind secular fundamentalism is a conception of history that derives from religion. The problem with the secular narrative is not that it assumes progress is inevitable (in many versions, it does not). 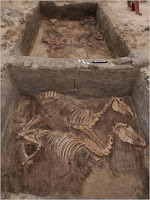 It is the belief that the sort of advance that has been achieved in science can be reproduced in ethics and politics. In fact, while scientific knowledge increases cumulatively, nothing of the kind happens in society. Slavery was abolished in much of the world during the 19th century, but it returned on a vast scale in nazism and communism, and still exists today. Torture was prohibited in international conventions after the second world war, only to be adopted as an instrument of policy by the world's pre-eminent liberal regime at the beginning of the 21st century. Wealth has increased, but it has been repeatedly destroyed in wars and revolutions. People live longer and kill one another in larger numbers. Knowledge grows, but human beings remain much the same. Belief in progress is a relic of the Christian view of history as a universal narrative, and an intellectually rigorous atheism would start by questioning it. This is what Nietzsche did when he developed his critique of Christianity in the late 19th century, but almost none of today's secular missionaries have followed his example. One need not be a great fan of Nietzsche to wonder why this is so. 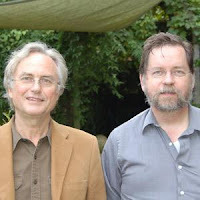 The reason, no doubt, is that he did not assume any connection between atheism and liberal values - on the contrary, he viewed liberal values as an offspring of Christianity and condemned them partly for that reason. In contrast, evangelical atheists have positioned themselves as defenders of liberal freedoms - rarely inquiring where these freedoms have come from, and never allowing that religion may have had a part in creating them. Tempers flare and emotions run high when the issue of Templeton Foundation is brought up before scientists. Are they trying to mix religion with science? Are they buying science to confirm their view of religion? Or are they helping science by financing under-funded science? We had to ask some of these questions ourselves for the organization of Hampshire College Lecture Series on Science & Religion. Ultimately we decided not to apply for their funds. The sentiment amongst our speakers has been decidedly mix - with half sympathetic towards the foundation and the other half passionately against it. The Templeton Foundation is a strange beast indeed. On the one hand, it is not officially committed to any particular religion, it does not support hack religious theories like intelligent design, it funds lots of fundamental theoretical physics that is not otherwise readily funded, and it doesn't explicitly interfere with or influence the scientific results of the various projects it funds. On the other hand, the foundation's primary goal is to support science that in turn supports religion, to use science as a tool to promote a religious agenda. It's as if rather than fighting against science the way some religious factions - like creationists - do, they figure, we'll just buy science and use it for our own ends. Consider this: when Sir John Templeton established the Templeton Prize in 1972 he stipulated that the monetary value should always be higher than that of the Nobel Prize -his way of saying that theology is more important than any other intellectual enterprise. Still, Sir John always seemed to be more of an eccentric billionaire than a dangerous force. He is the kind of physicist who is so awestruck by the mathematical order of the universe that he sees God lurking in equations. For him, science and religion are difficult to separate. And after talking with him I could understand why - Heller grew up in a family environment in which intellectualism and religion were deeply intertwined and in a political environment in which both were persecuted by the Communist regime in Poland. The point is, the Templeton Foundation's efforts to buy scientists might be dangerous. But Michael Heller certainly isn't. Read the New Scientist story here, and the NYT story here. By the way here is an exchange between Michael Shermer and Harold Kroto over the Templeton Foundation at beyond belief 2.0 (you need to see the ending of Kroto's talk and the beginning of Q&A to appreciate this exchange). After 1,500 years the Vatican has brought the seven deadly sins up to date by adding seven new ones for the age of globalisation. The list, published yesterday in L’Osservatore Romano, the Vatican newspaper, came as the Pope deplored the “decreasing sense of sin” in today’s “securalised world” and the falling numbers of Roman Catholics going to confession. Hmm...but the new deadly sins only threaten the soul and eternal damnation. Well, I guess, most biologists will be fine with this deal. This is another aggressive step of the current Pope dealing with a scientific issue. While its true that this may not effect scientists, it does give some indication of the Papal mood. Lets just hope that the Pope doesn't come out with an endorsement of Intelligent Design any time soon. Read the full story here and here (BBC). The Seven Deadly Sins and the Four Last Things, Hieronymus Bosch 1504 (Prado Museum, Madrid). This is part of The Atheism Tapes with Jonathan Miller and you can purchase it from Secular Philosophy. In this discussion with D.J. Grothe, Nisbet highlights the recent AAAS panel he organized titled "Communicating Science in a Religious America." He details his ideas for the most effective strategies to engage the public about science issues, and debates whether the warfare metaphor of science versus religion undermines science education, and contrasts the approaches of leading scientists like Richard Dawkins and E.O. Wilson. Nisbet also explores why it might be advantageous for secularist activists to re-prioritize when it comes to working in coalition with the religious around certain issues of concern to the science-education community. This question of approach is crucial. Overall, I do agree with him and this attitude becomes even more important when dealing with the more religious Muslim societies. He doesn't say it explicitly, but I think the line should be drawn at methodological naturalism - i.e. no inclusion of supernatural whatsoever in scientific matters. If a religion is unhappy with it, so be it. Check out the full podcast here.